First, thank you very much for the feedback of the first article about #publicspeakingmastery. If you missed it here it is: “10 Insider Secrets to Grow Your Public Speaking Business Fast From 0 to 6 Eur Figures in Less Than One Year” . 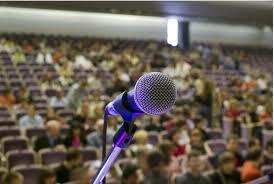 Most people don’t realize about how lucrative the public speaking can be. As in everything, 80% of the money is made by 20% of the speakers. Or even worse! Do you know that 98% of the money, business and assets on Earth are under the control of 2% of the population? So the reality is than only a small part of the speakers make any money and can support themselves for speaking and just a small … very small percentage make insane amount of money speaking. Most people can’t even imagine how their life would be to be paid at least 5,000 eur for a 90 minutes speaking gig. Imagine having 1 such gig per month, or two or four … Just imagine and enjoy this journey in your mind or … make it part of your life. In the previous article I promised to deliver information about how much fake there is in public speaking. I am doing it now! Look, in our mind we consider the people speaking at conferences and events as authorities so we trust them and oftentimes we follow their advice. And many of the speakers I know are real deals. They work hard, learn a lot about their subjects of expertise, prepare amazing speeches and deliver value. But in the same time a lot of savvy and very powerful public speakers sell public speaking courses (which is great!) or other type of courses and in the price is included a public speaking appearance on the stage with the course author. This can be also ok but in most of the times there’s any screening process so almost anybody with the purchase power for the course can claim the authority status in a niche where maybe they don’t have any experience. But the niche in demand. More, they buy another course which teaches them how to write a book about that niche, the writing of the book can be outsourced and the book produced asap. So let’s assume that somebody who is obese wants to teach people about losing weight and develop themselves personally. I took this example to show you how much discrepance can be between what somebody teaches or speak about and his background. Or somebody who is amost broke speaking about how to become a millionaire. 4. They produce courses about that niche or subject, coach other persons and s.o. It is great that today it is easier than ever to become an expert or … to be perceived as an expert, but the danger is that you can receive and follow life changing advice from fraudsters instead of people entitled to speak and teach on the subject. Sometimes, the best experts don’t have a clue about marketing but the fraudsters know very well how marketing works, what trigger to use to make people from the audience buy products and nothing else matters. In public speaking if you speak along one of the main players in the market you can claim that you spoke on the stage with that person and instantly double or triple the speaking fee. And it is cool and correct. And today there is so much fake in public speaking … so much but of course I don’t recommend you to follow this route because will not work long term. Or maybe will work but I don’t recommend it. What I recommend is to start with what you already know and are passionate about, find out if there is a market for this, do the best you can to market yourself, bring amazing value to the audiences when on stage and you will start building an amazing speaker profile to be proud of. In the next article will show you the best ways to actually start to be paid at a minimum 5,000 eur for a 90 minutes speaking gig? I used the eur figure because this was a milestone for me and it is a rate which is pretty comfortable with many conferences and events and … this is just the beginning. See you in the next article.